LOS ANGELES- November 17th, 2017– Profiles in History is proud to announce Superman: The Auction, December 19th in Los Angeles. Next year marks the 80th anniversary of “The Man of Steel” and this will be the first ever auction devoted entirely to the godfather of all superheroes, featuring over $2 million of material. 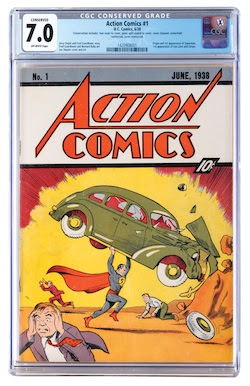 First up is Action Comics #1 with a CGC Conserved Grade of 7.0. This is without debate nor question, the most revered and legendary comic book of all time. It marks the origin and first appearance of Superman, while simultaneously inaugurating the superhero genre. This copy is extraordinarily significant in that it is unrestored, being certified by CGC with the Conserved Grade of “7.0 Off-White Pages”, with coveted blue Universal label. As noted on the label: “Conservation includes: tear seals to cover, spine split sealed to cover, cover cleaned, centerfold reinforced, cover reinforced.” It is pictured left and estimated to sell for $800,000 – $1,200,000. Then Christopher Reeve’s screen-worn “Superman” costume from Superman III. (Warner Bros., 1983) This is the “Dark” Superman costume worn by Reeve in the scenes when the “Man of Steel” is affected by the synthetic tar-laced Krytonite, turning him angry, depressed and destructive. This costume was acquired directly from Warner Bros. Studio. It is pictured below and estimated to sell for $50,000 – $70,000. 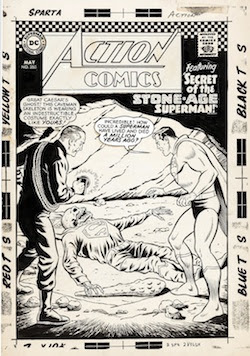 Next is Action Comics #350 Cover art by Curt Swan (pencils) & George Klein (inks). This is incredible art from the rare Silver Age 1966 cover of the classic story titled: “Secret of the Stone-Age Superman!” This nice cover features Superman and Perry White in a cave as they find a prehistoric Superman skeleton in costume! Large art DC Superhero covers are extremely desirable, and Silver Age Superman covers drawn by the great Curt Swan and George Klein are some of the most highly coveted. It is pictured at bottom and estimated to sell for $60,000 – $80,000. 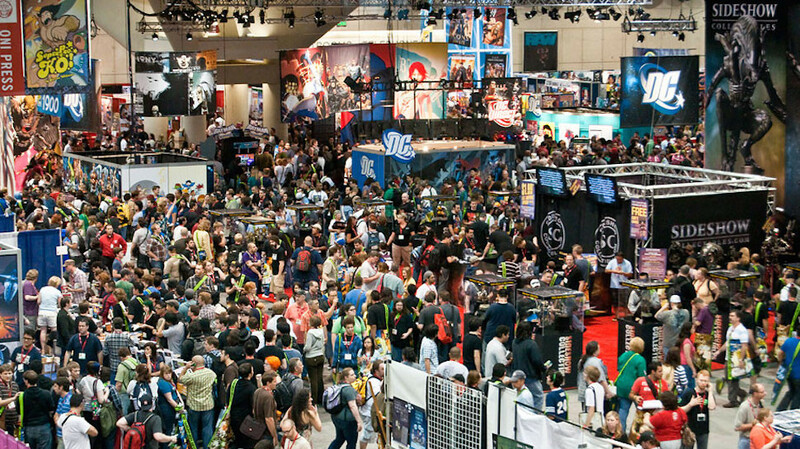 Being the multi-media titan since World War II to the present, there is also an amazing collection of Superman ephemera, vintage board games, playing cards, premium pins, rings, toys, lunch boxes, and more, for a variety of prices that all fans can purchase and enjoy.